Level One Meets are intended for qualifying for National Championships. Minimum entry times apply equivalent to the ASA 'A' Grade qualifying times. Pools must be long course - 50m long. Level Two Meets are intended for qualifying for Regional Championships. Although swimmers who achieve a National Qualifying Time at a level two meet may use that time for entry into the National Championships. Qualifying Times and Upper Limit times apply. Upper qualifying times for these meets should not be faster than the National qualifying time for the respective age group. Pools must be short course - 25m long. Level Three Meets are intended for qualifying for County Championships. Although swimmers who achieve a Regional Qualifying Time at a level two meet may use that time for entry into their Regional Championships. Qualifying Times and Upper Limit times apply. Pools must be 25m, 33m or 50m long. 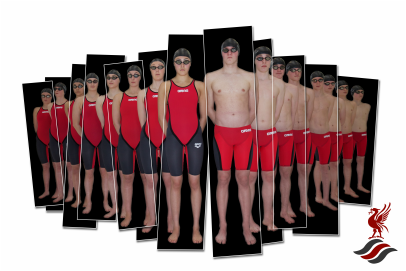 These galas are aimed at B/C Grade swimmers. Level Four Meets are intended for club swimmers and those beginning to enter individual open competition. Qualifying Times apply. Upper Limit times usually apply. Pools must be at least 25m long.